Sedan pilots: have any of you Plasti-Dipped your exterior trim? Or re-sprayed them in any way? I'm seriously considering picking up a can of black Plasti-Dip spray to blackout my upper & lower grilles (the lower one is damn near gray!) & realized my trim could also use a freshening. My concern is that I'm not certain if the trim was ever actually black, but rather just a deep gray. Does anyone have pictures of (flat) black exterior trim? well, I guess depending on how often you do it it could get pretty thick with plasti-dip, and it would be annoying to try and peel it off the mesh. I think I still have a regular rattle-can of flat black somewhere . . . 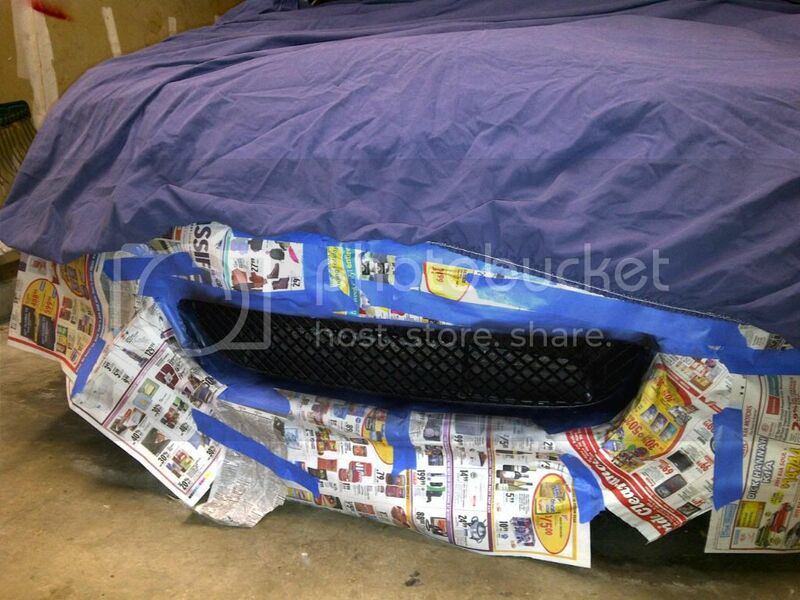 I just figured since I'll be Plasti-Dipping the nose grille (after reading you rave about it at Bimmerforums, Ryan!) I might as well do all of the black trim pieces at the same time. Do you think it wouldn't be a good idea because P-D adds too much thickness? Or is there another concern? I don't think PD holds up against debris as well as spray paint. I was actually going to pull mine off and have my paint shop spray them along with some "other parts" I am getting done in the next couple of weeks. I rattle canned my grill and it looks like new! 3 coats of Plasti-Coat satin is what I used. BMW CCA Member . SAT (S2TBA) . RPI V3 Ram Air Scoop . Gloss black kidneys & 550i badge . HID fogs . LED halos . LED license plate kit . Black aluminum ///M pedals . Body color (A68) roof & trunk spoilers . K&N . Charcoal filter delete . Jeff, did you put fitted sheets on your car to paint it?? LOL. Nice.